As Margarita Díaz- Andreu and Tommaso Mattioli explain, archaeoacoustics refers to the field of study concerned with the effects of sound in past societies. Scholars interested in acoustics try to understand the human past beyond its materiality by recovering a set of less evident, less tangible cultural signs relating to the sense of hearing. Díaz-Andreu, M. and Mattioli, T. 2019. In David, B. and McNiven, I.J. (eds. ), The Oxford Handbook of the Archaeology and Anthropology of Rock Art. Oxford, Oxford University Press: 503-528. 1. Representations of musical activity such as musical instruments, dancing, and singing in rock art. 2. The presence of material objects relating to musical activity within rock art sites. 3. The production of rock art at or near lithophones. 4. 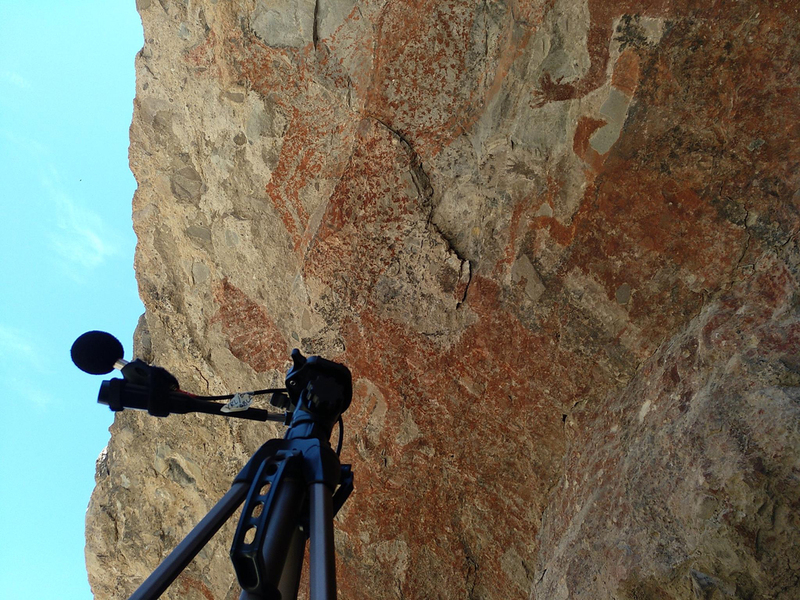 The location of rock art in naturally sonorous landscapes. 5. The location of rock art in landscapes where artificially produced sounds, including human musical activity, can produce exceptional acoustic responses, of which three will be distinguished: echo, resonance, and reverberation.